Posted by Naomi Sani to the School Guide Blog on 07 April 2014. These words came to mind when I recently read about the success of South Korea in the Pisa (Programme for International Student Assessment) tests. Time and time again their children rise to the top of international league tables but these results show that they are also the least happy at school. Suicide rates are eye-wateringly high. Peru have the happiest school children in the world but are one of the worst performers in the Pisa tests. Are the two (success and happiness at school) mutually exclusive - or can we have a bit of both? Finland has, for many years, consistently ranked very highly when it comes to Pisa results. Even with the recent tests showing an apparent decline in Finland’s maths performance, the Finns still outperform the UK and the US in staggering style. Hordes of teachers have traipsed to Helsinki and beyond in an attempt to capture the secret of this success. The majority return with tales of happy relaxed learners. Has Finland found a better balance: success and happiness? I was recently invited to visit a group of schools in Helskini to see first-hand how they teach. I went with my PhD in Maths Education hat on (lesson plans! dazzling teachers!) but also with a keen mother's eye. Like so many of us, the thing I want more than anything is for my children to be happy and enjoy school. What are Finnish classrooms like? The atmosphere at Finnish schools is relaxed and the lack of tension throughout the school tangible. This is possibly because: the class sizes are small (very small by UK standards) – rarely did I see a class with more than 20 pupils; space is plentiful – there is no overcrowding; and the school interior is coolly minimalistic and calming. On top of this: pupils call their teacher by their first names; there is no uniform; and children are seven-years-old before they start school. Digressions (or what we would label in the UK as low level disruption) are accepted including turning around to speak to friends – mid-lesson – chatting, hair brushing and even chewing gum. None of this behaviour is perceived as disruptive and, perhaps somewhat surprisingly to us, nor is it! Pupils are seemingly not being defiant and, as these digressions do not have to be addressed or disciplined in any way by the teacher, there is no interruption to the lesson. The 'disruptions' are simply not disruptive. In all the schools I visited, I witnessed no shouting, telling off or aggressive behaviour from pupils or teachers. The only act of discipline I observed was a very strong thumbs down gesture from a teacher who maintained determined eye contact throughout. The ebb and flow of a lesson is apparent and no attempt is made to disguise it or persuade pupils otherwise. Children focus and listen, children lose concentration and chatter, children regain focus and pay attention and, crucially, the teacher appears perfectly at ease with this natural shift of energies. Pupils are co-operative and the modus operandi is collaboration. Pupils talk and share with each other as a matter of course. Limited technology was employed in the lessons I observed. Instead, all the classes had well-used class-width quality blackboards. (Some of them were of the old fashioned roller variety!). In one secondary school, I only spotted one interactive whiteboard. With no government inspection (Ofsted equivalent) and no national testing until the age 18 (no SATs, no GCSEs… no, really), the pressure we accept and expect for pupils in the UK is simply not felt in Finland. What makes Finnish teachers so successful? Teaching is calm and collaborative too: teachers appeared relaxed and in control. There was a sense that teachers had plenty of time for pupils and they appeared un-harried and unhurried. This was combined with a very informal approach – plenty of hugs were dispensed. Homework is set regularly and all pupils apparently complete their assignments without complaint. One group of pupils told me with great confidence that it was absolutely against the law for children to not do their homework! Okay, so was it absolutely perfect? No. There was a list of things that I didn't see: pacey, creative, engaging teaching. No lessons fizzed and no one appeared overtly enthusiastic. Nothing ‘popped’ and no one ‘performed’. Teaching was often of the ‘traditional’ transmission style. ‘Problem solving’ was very limited and not embedded within the teaching. Did we see evidence that every pupil made progress during every single lesson (a standard Ofsted requirement)? So why does it work? What is the magic? If the teaching doesn’t appear to be particularly outstanding, what is? Obviously lots of factors come into play. Just some of them are: cultural differences, levels of parental involvement, equity of schools, public confidence in teachers and the school system, trust, the autonomy teachers enjoy. Perhaps the two main factors that set teachers and pupils apart (from their UK counterparts) are the high qualifications required by all teachers and the equality enjoyed by pupils. Teaching in Finland is a top career choice. It is well-paid and enjoys stellar professional status. The five-year teacher training courses are massively over-subscribed and Finland can select the very best talent to teach their future generations. All teachers have research-based Masters degrees and are continually involved with research throughout their careers. At the heart of Finland’s education philosophy is the core belief that all children are equal and should be given equal opportunities. This is fundamental to Finland’s educational success. No child is streamed or set. All children have access to the whole curriculum and can expect equal access to all of their teachers. ‘Weak’ kids are supported – within their usual class setting – by additional highly qualified teachers. Compare this with the UK system where often the weakest pupils are extracted from their class and taught separately by a lesser qualified member of staff such as a teaching assistant. Children are not separated at any stage of their education in Finland. What's more, there appears to be a direct link between the lack of formal testing and streaming (there is no competition for school places or peer pressure for prized 'top set' slots) and very high pupil self-esteem as a result. But perhaps Finland could be accused of not stretching its most able? This is a question that the Finns themselves are considering right now. But the fact remains: Finland still has significantly more pupils performing at the highest levels (of the Pisa tests) than the UK. Finally, there may be a little of the tortoise and the hare scenario here too. 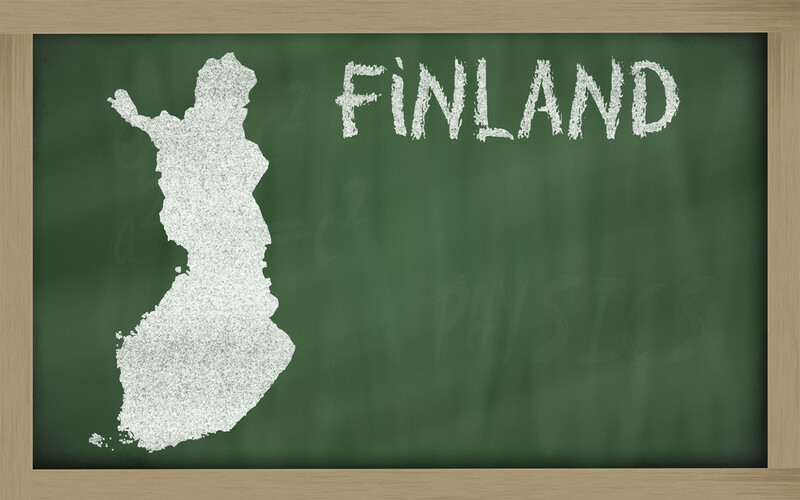 Pupils in the UK spend 12 years in compulsory education while in Finland it is just nine. Finnish school days are shorter (children in Finland spend the fewest number of hours in the classroom in the developed world), lessons appear relaxed and unhurried, and competition is negligible until the age 18. It is probably an over simplification to say teachers in Finland feel valued, and pupils in Finland feel valued – but it is also probably true. I learnt a great deal during my trip but, more importantly, I took away a good feeling. I know what a successful and happy learning journey feels like and it's going to be hard to forget. Naomi Sani is the author of How To Do Maths So Your Children Can Too. 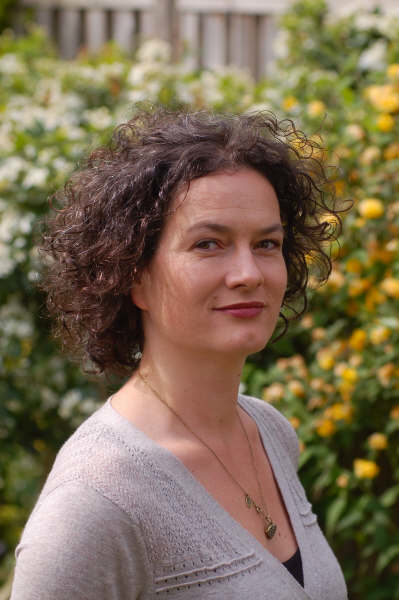 A teacher, university lecturer and maths consultant, Naomi lives in Bath with her husband and 3 young boys. Naomi is now also studying for a PhD in Maths Education at the University of Plymouth.